Advanced electric drive traction and propulsion systems are being developed in order to ensure better energy performance for the future transportation systems such as electric vehicles (EVs), hybrid electric vehicles (HEVs), plug-in hybrid electric vehicles (PHEVs), fuel cell vehicles (FCVs) and advanced tractions and propulsions for trains, subways, ships, and airplanes. The research and development aims at reducing energy consumption and pollutant emissions in order to contribute to addressing the climate challenge. In order to further promote excellence of research in vehicle power and propulsion, in conjunction with the 6th annual IEEE Vehicle Power and Propulsion Conference (VPPC 2010), a special section in the IEEE Transactions on Vehicular Technology will be published to focus on state-of-the-art research and development as well as future trends in the modeling, design, control, and optimization of advanced power and propulsion systems for future transportation systems. Papers studying only power components, power electronics, and/or devices will NOT be considered since this special section is focused on system-level issues. Potential authors are invited to submit an original paper for consideration to publish in the special section. A thorough peer review will be conducted to select top papers for this special section. Papers presented at the VPPC 2010 are eligible for consideration to be included in this special section. However, please note that IEEE requires that a journal submission offer substantial novel contributions beyond the previous work in a conference paper (substantial change). • Railway, subway, ships, and aerospace applications. It must be prepared in accordance with approved IEEE practice. The paper should contain a sufficient number of references so that a reader is conveniently led to other related work. Papers without references will normally be returned for correction prior to submission to the reviewers. If a new submission is based on a published/accepted conference paper, the previous work must be cited in the journal submission, and the new submission should offer substantive novel contributions beyond the previous work. These requirements fall under Author Responsibilities as listed in the IEEE PSPB Ops Manual, section 8.2.1.B. Please include a summary of new contributions and previous conference paper(s) in the submission. We do not accept any submission that is basically the same as a conference paper or papers in technical contents. To assist the reviewers, the paper should be double-spaced, single column, and in PDF format. Please use a font size of 11 pt or 12 pt when submitting your paper for review. The complete manuscript (including figures and tables) of a Regular Paper should be in general limited to 35 pages. For a Correspondence, the length limit is 12 pages for the main text (with 12-point font size and about 26 lines per page), and a total of 7 figures and tables (a subfigure is counted as one figure). - Papers co-authored by one Guest Editor of this special section will be send to other Associate Editors by the Editor-in-Chief. - Each paper wil be associated with one Guest Editor from another country than the (corresponding) author country. - Each paper wil be associated with 3 or 4 reviewers from other countries than the author's countries. Alain BOUSCAYROL,IEEE-VPPC’10 General Chair, L2EP, MEGEVH network, University of Lille, 59 655, Villeneuve d'Ascq, FRANCE, Tel: +33-3-20-43-42-53, Fax: +33-3-20-43-69-67, Alain.Bouscayrol@univ-lille1.fr. 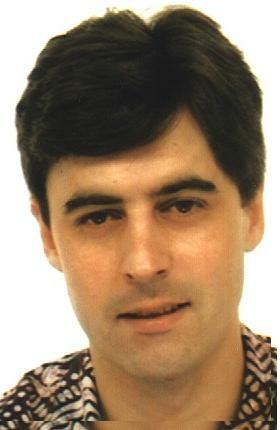 Alain BOUSCAYROL received the Ph.D. degree in electrical engineering from Institut National Polytechnique de Toulouse, France, in 1995. He had been engaged as Associate Professor at University of Lille 1 “Sciences and Technologies” (France) in 1996, and became full Professor in 2005. His research interests deals with graphical descriptions for modelling and control of electrical systems, with application in renewable energy systems, railway traction systems, electric and hybrid electric vehicles. Since 2005, he manages MEGEVH, French scientific national network on hybrid electric vehicles. Daniel HISSEL received the electrical engineering degree from the Ecole Nationale Supérieure d'Ingénieurs Electriciens de Grenoble, France, in 1994 and the Ph.D. degree from the Institut National Polytechnique de Toulouse, France, in 1998. From 1999 to 2000, he was with the ALSTOM Transport, Tarbes, France, where he was a System Engineer on electrical and fuel cell buses projects. 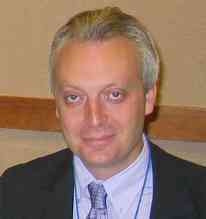 From 2000 to 2006, he was an Associate Professor with the University of Technology Belfort, France. Since 2006, he has been a Full Professor with the University of Franche-Comté, Belfort, France. Since 2008, he has been Head of the "Energy Systems Modeling" Research Team with the Franche-Comté Electronique, Mécanique, Thermique et Optique-Sciences et Technologies (FEMTO-ST). His main research activities are concerning fuel cell systems dedicated to automotive and stationary applications. Dr. Hissel is a member of the FC LAB Institute (dedicated to fuel cell research) and of the MEGEVH Network on HEV's. Rochdi TRIGUI received the Diploma of Electrical Engineering from the National High School of Electrical and Mechanical Engineering of Nancy, France, in 1993 and his PhD degree in Electrical Engineering in 1997 from the Polytechnic National Institute of Lorraine. Since 1998, he is researcher in the French National Institute for transport and safety Research (INRETS) in the field of electric and hybrid vehicles. He is currently member of MEGEVH, French scientific national network on hybrid electric vehicles. The reference section of your paper is a key point. It is important that the authors show a good recognition of the state-of-the-art in the subject area. Some transactions will usually expect a minimum of 20 references, primarily to recent journal papers (25 references for each paper should be more common). Citations of textbooks and web pages should be used very rarely. If there is doubt about the scope of the manuscript the editor may recommend resubmission of the manuscript to other journals for which the manuscript has the most references. This section gives non-exhaustive references on "Energy and future transportation systems" from IEEE TVT. Of course other relevant references are welcome! "Battery, Ultracapacitor, Fuel Cell, and Hybrid Energy Storage Systems for Electric, Hybrid Electric, Fuel Cell, and Plug-In Hybrid Electric Vehicles: State of the Art"
IEEE transactions on Vehicular Technology, vol. 59, no. 6, pp. 2806 - 2814, July 2010. "Battery Storage Sizing in a Retrofitted Plug-in Hybrid Electric Vehicle"
IEEE transactions on Vehicular Technology, vol. 59, no. 6, pp. 2786 - 2794, July 2010. "Modeling and Control of Fuel Cell/Supercapacitor Hybrid Source Based on Differential Flatness Control"
IEEE transaction on Vehicular Technology, vol. 59, no. 6, pp. 2700 - 2710, July 2010. "An Online Power-Balancing Strategy for a Parallel Hybrid Electric Vehicle Assisted by an Integrated Starter Generator"
IEEE transactions on Vehicular Technology, vol. 59, no. 6, pp. 2689 - 2699, July 2010. "Phase-Redundant-Based Reliable Direct AC/AC Converter Drive for Series Hybrid Off-Highway Heavy Electric Vehicles"
IEEE transactions on Vehicular Technology, vol. 59, no. 6, pp. 2674 - 2688, July 2010. "Effects of Common-Mode Active Filtering in Induction Motor Drives for Electric Vehicles"
IEEE transactions on Vehicular Technology, vol. 59, no. 6, pp. 2664 - 2673, July 2010. "Simulation Model of a Military HEV With a Highly Redundant Architecture"
IEEE transactions on Vehicular Technology, vol. 59, no. 6, pp. 2654 - 2663, July 2010. "Hybrid Electric Vehicle Based on Bidirectional Z-Source Nine-Switch Inverter"
IEEE transactions on Vehicular Technology, vol. 59, no. 6, pp. 2641 - 2653, July 2010. "Dual-Mode Power-Split Transmission for Hybrid Electric Vehicles"
IEEE transactions on Vehicular Technology, vol. 59, no. 7, pp. 3223 - 3232, September 2010. "Control Algorithm for an Independent Motor-Drive Vehicle"
IEEE transactions on Vehicular Technology, vol. 59, no. 7, pp. 3213 - 3222, September 2010. "Solar-Assisted Electric Auto Rickshaw Three-Wheeler"
IEEE transactions on Vehicular Technology, vol. 59, no. 5, pp. 2298 - 2307, June 2010. "On Conversion of Hybrid Electric Vehicles to Plug-In"
IEEE transaction on Vehicular Technology, vol. 59, no. 4, pp. 2016 - 2020, May 2010. "Optimal Control Method of Motoring Operation for SRM Drives in Electric Vehicles"
IEEE transactions on Vehicular Technology, vol. 59, no. 3, pp. 1191 - 1204, March 2010. "Electrical Power Net Systems in Cars-Impedance Modeling and Measurement"
IEEE transactions on Vehicular Technology, vol. 59, no. 3, pp. 1148 - 1155, March 2010. "Role of Terrain Preview in Energy Management of Hybrid Electric Vehicles"
IEEE transactions on Vehicular Technology, vol. 59, no. 3, pp. 1139 - 1147, March 2010. "Loop-Cancellation Technique: A Novel Nonlinear Feedback to Overcome the Destabilizing Effect of Constant-Power Loads"
IEEE transactions on Vehicular Technology, vol. 59, no. 2, pp. 650 - 661, February 2010. "Estimation of Tire Forces for Application to Vehicle Stability Control"
IEEE transactions on Vehicular Technology, vol. 59, no. 2, pp. 638 - 649, February 2010. "Electric, Hybrid, and Fuel-Cell Vehicles: Architectures and Modeling"
IEEE transactions on Vehicular Technology, vol. 59, no. 2, pp. 589 - 598, February 2010. IEEE transactions on Vehicular Technology, vol. 59, no. 1, pp. 84 - 92, January 2010. "Sizing Predictive Reference Signal Generator for Hybrid Electric Vehicles"
IEEE transactions on Vehicular Technology, vol. 58, no. 9, pp. 4730 - 4740, November 2009. "Performance Comparison of Three Storage Systems for Mild HEVs Using PHIL Simulation"
IEEE transactions on Vehicular Technology, vol. 58, no. 8, pp. 3959 - 3969, October 2009. "Sizing and Energy Management of a Hybrid Locomotive Based on Flywheel and Accumulators"
IEEE transactions on Vehicular Technology, vol. 58, no. 8, pp. 3947 - 3958, October 2009. "Stability of an Electric Differential for Traction Applications"
IEEE transactions on Vehicular Technology, vol. 58, no. 7, pp. 3224 - 3233, September 2009. "Fuel-Cell Hybrid Powertrain: Toward Minimization of Hydrogen Consumption"
IEEE transactions on Vehicular Technology, vol. 58, no. 7, pp. 3168 - 3176, September 2009. "Online Energy Management for Hybrid Electric Vehicles,"
"Design and New Control of DC/DC Converters to Share Energy Between Supercapacitors and Batteries in Hybrid Vehicles,"
IEEE transactions on Vehicular Technology, vol.57, no.5, pp.2721-2735, September 2008. "Switched Causal Modeling of Transmission With Clutch in Hybrid Electric Vehicles"
IEEE transactions on Vehicular Technology, vol. 57, no. 4, pp. 2081-2088, July 2008. "A General Approach to Energy Optimization of Hybrid Electric Vehicles,"
IEEE transactions on Vehicular Technology, vol. 57, no. 3, pp.1433-1441, May 2008. "Fuzzy-Clustering Durability Diagnosis of Polymer Electrolyte Fuel Cells Dedicated to Transportation Applications"
IEEE transactions on Vehicular Technology, vol. 56, no. 5, pp. 2414 - 2420, September 2007. "Control Strategies for Hybrid Electric Vehicles: Evolution, Classification, Comparison, and Future Trends"
IEEE transactions on Vehicular Technology, vol. 56, no. 5, pp. 2393 - 2404, September 2007. "Comprehensive Efficiency Modeling of Electric Traction Motor Drives for Hybrid Electric Vehicle Propulsion Applications"
IEEE transactions on Vehicular Technology, vol. 56, no. 4, pp. 1561 - 1572, July 2007. "Design of an Electric Differential System for Three-Wheeled Electric Welfare Vehicles With Driver-in-the-Loop Verification"
IEEE transactions on Vehicular Technology, vol. 56, no. 4, pp. 1498 - 1505, July 2007. "Modeling and Simulation of Various Hybrid-Electric Configurations of the High-Mobility Multipurpose Wheeled Vehicle"
IEEE transactions on Vehicular Technology, vol. 56, no. 2, pp. 459-465, March 2007. "Derivation and Experimental Validation of a Power-Split Hybrid Electric Vehicle Model"
IEEE transactions on Vehicular Technology, vol. 55, no. 6, pp. 1731-1747, November 2006. "Design of an Optimal Fuzzy Controller for Antilock Braking Systems"
IEEE transactions on Vehicular Technology, vol. 55, no. 6, pp. 1725 - 1730, November 2006. IEEE transactions on Vehicular Technology, vol. 54, no 5, pp. 1705 - 1712, 2005. IEEE transactions on Vehicular Technology, vol. 54, no 3, pp. 856-862, May 2005. IEEE transactions on Vehicular Technology, vol. 54, no.3, pp. 837-845, May 2005. IEEE transactions on Vehicular Technology, Vol. 54, No. 3, pp. 825-836, May 2005. IEEE transactions on Vehicular Technology, vol. 54, no 3, pp. 771 - 782, May 2005. IEEE transactions on Vehicular Technology, vol. 54, no. 3, pp. 763-770, May 2005. "PSIM-based modeling of automotive power systems: conventional, electric, and hybrid electric vehicles"
IEEE transactions on Vehicular Technology, vol. 53, no. 2, pp. 390-400, March 2004. "Hybrid electric sport utility vehicles"
IEEE transactions on Vehicular Technology, vol. 53, no. 5, pp. 1607 - 1622, 2004. "Diesel sport utility vehicles with hybrid electric drive trains"
IEEE transactions on Vehicular Technology, vol. 53, no. 4, pp. 1247 - 1256, 2004. IEEE transactions on Vehicular Technology, vol. 53, no. 3, pp. 872-881, May 2004. "ADVISOR-based model of a battery and an ultra-capacitor energy source for hybrid electric vehicles"
IEEE transactions on Vehicular Technology, vol. 53, no. 1, pp. 199 - 205, January 2004. IEEE transactions on Vehicular Technology, vol.48, no. 6, pp. 1788 - 1796, 1999. IEEE transactions on Vehicular Technology, vol.48, no. 6, pp. 1770 - 1778, 1999. IEEE transactions on Vehicular Technology, vol.48, no. 6, pp. 1751-1761, 1999.